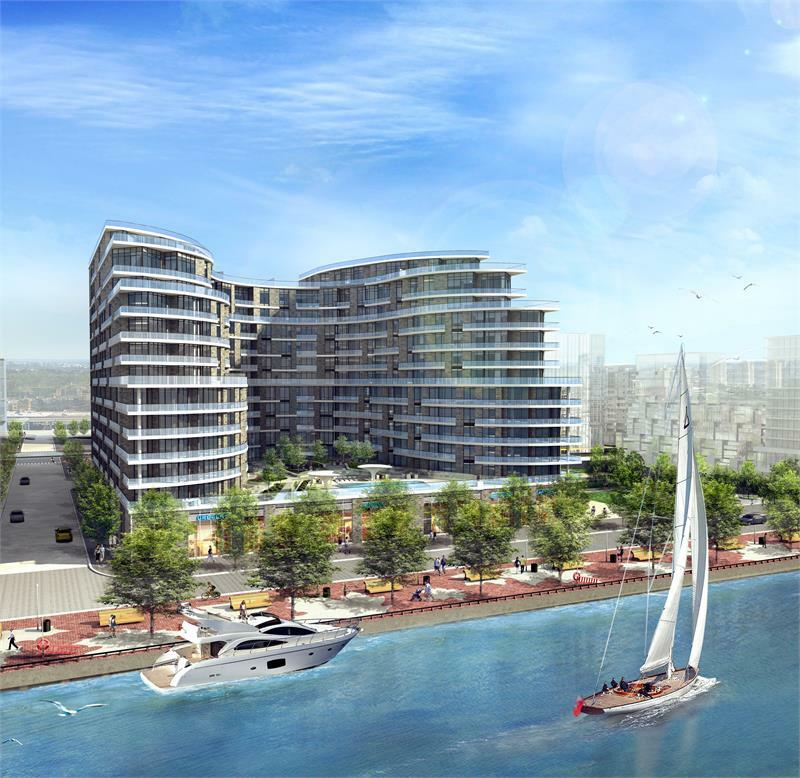 Aquavista at Bayside by Tridel is set to become the second condominium to join the developer’s master-planned Bayside waterfront community. The project was designed by Arquitectonica, the renowned international architectural firm headed by Bernardo Fort-Brescia. The sculptural condominium will rise 12 storeys, accommodating 231 suites. One bedroom, one bedroom plus den and two bedroom suites are available, ranging from 462 to 3,771 square feet. Prices start from the mid-$300,000s. Aquavista at Bayside condos will feature stepped terraces and balconies, many of which face the inner harbour. The second level rooftop Aquavista Club Amenity Terrace will incorporate an outdoor infinity pool with sundecks, fire pits and multiple lounging and conversation areas. Additional facilities include east and west facing lobbies, a party room with bar, private dining room, theatre room and a fitness centre with yoga and spinning studios. The ground level will feature retail space and pedestrian friendly streetscapes, with convenient access to the Merchant’s Wharf. Aquavista at Bayside is steps from both Sherbourne Common and Sugar Beach — providing abounding green space and waterfront trails. The Bayside Toronto neighbourhood will be equipped with ultra-high speed internet connectivity — the fastest in Canada and one of the top seven “Intelligent Community” enterprises in the world. For exclusive updates, register online or visit the Aquavista at Bayside sales centre at 261 Queens Quay East from Monday to Friday between 11am and 7pm or on weekends and holidays from noon to 6pm. For more information, please call 416 514 2710, email aquavista@tridel.com or visit Tridel.com.